The water is a great place to connect with other students! Scholastic Anglers promotes student/teacher interaction, strong friendly relationships, sportsmanship, memories for a lifetime, good plain fun, education, and competition. Scholastic Anglers is a new school sporting activity that turns the traditional sport of fishing into an interscholastic contest. Join a long-lasting tradition, a great source of competition and rivalry. In addition, make contact and network with other student-anglers while earning recognition from the entire student-body, teachers, community leaders, family and friends. If you are ready to engage in interscholastic sport fishing, Scholastic Anglers will help establish you and your school with your own school-specific program and generate school spirit and school pride in a whole new realm! PUT YOUR SCHOOL'S PRIDE ON THE LINE! By participating with Scholastic Anglers, your student-anglers will have a chance to learn, practice, and compete in interscholastic sport fishing. Student-anglers have an opportunity to earn honors, awards, prizes, recognition, and compete in the Scholastic Anglers Challenge, the Scholastic Anglers Tournament Series, and the Scholastic Anglers Championships. 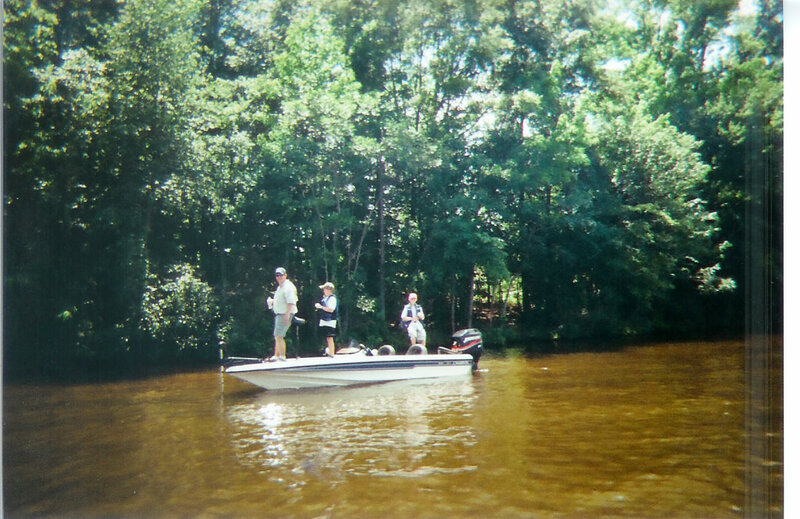 School sport fishing programs foster leadership, problem solving, environmental awareness, and Character Education while teaching the sport of fishing. Your students will develop a whole new meaning for school spirit and school pride while enhancing overall academic achievement. The innovative Scholastic Anglers Interscholastic Sport Fishing Program is an opportunity that will open student-anglers' minds to the world around them while offering all of the elements of intense learning and competition to their overall educational process. School-specific sport fishing can now be implemented to include all subject areas...language arts, mathematics, reading, writing, the sciences, social studies, and Character Education! Student-anglers will be able to access and enhance their higher order thinking skills such as application of concepts, analysis of information, and synthesis to arrive at a new solution or conclusion. Schools...Your School Pride Is On The Line! Is your school utilizing the sport of fishing as a way to generate school spirit, school pride, academic achievement and community involvement to enhance the overall educational process? Scholastic Anglers serves to provide assistance, structure and governance for interscholastic sport fishing education and competition. Up for grabs is the Scholastic Anglers School Of The Year, the Scholastic Angler Of The Year, and the Scholastic Anglers Elite Eight! Joining in on the fishing action is ongoing. It is never too late to participate! Call 704-315-7071 for additional information.